Jammu, Sept 14: The Jammu and Kashmir unit of the BJP Friday claimed that the PDP, its erstwhile coalition partner, has lost credibility in the state while its south Kashmir bastion was proving to a big minefield. 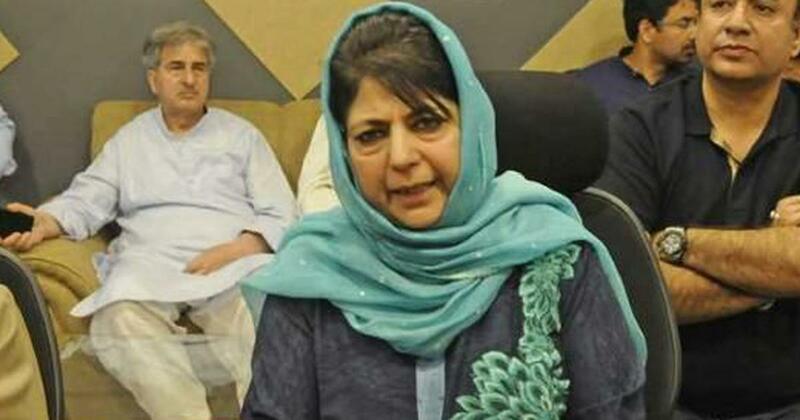 South Kashmir considered to be the one-time bastion of the Muftis (Mufti Mohammad Sayeed and his daughter Mehbooba) and PDP is proving to be a big minefield for the party," Bharatiya Janata Party (BJP) state spokesperson Anil Gupta said in a statement here. "Its leaders are finding it difficult to even visit their constituencies, he added. The party because of its doings in the past three years has lost credibility... The reality is that the party is using Article 35 A to emotionally exploit the people of Kashmir and creating a communal wedge under the false notion that it can regain its lost credibility, Gupta said further. He said there were numerous blots on the political fibre of the People's Democratic Party (PDP) which the youth in particular, were unwilling to forgive . As a result, the party has lost the support of the people across the valley. Their once vote banks have turned into their worst enemies, a reality which has dawned on its leadership but it is unwilling to accept publicly with grace," he said. "The people find no difference between the mainstream politicians of different parties and view them as self-seekers, he added. The reality is that people have rejected the party blaming it for their outright betrayal. Rather than accepting the ground reality gracefully, PDP leadership in a desperate bid to keep its flock together is trying to take shelter of Article 35 A. he said.